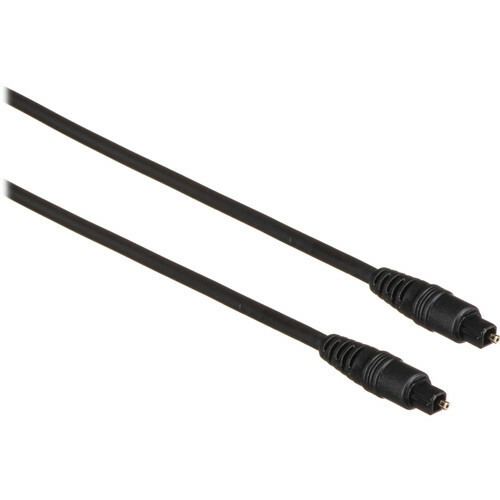 The 3' Comprehensive Standard Series TOSLINK Optical Audio Cable allows you to connect DVD players to audio receivers, satellite boxes and cable boxes to audio receivers, and any other equipment that supports the optical TOSLINK interface. It uses light to provide jitter-free transfer of digital audio signals, while preserving their strength and eliminating radio frequency interference (RFI) noise. This durable cable features gold-plated connectors and a heavy, 5mm jacket, which provides additional strain relief and helps prevent cable damage.